Greater Bird-of-Paradise displays with the mist-covered rain forest below in Aru Islands, Indonesia. 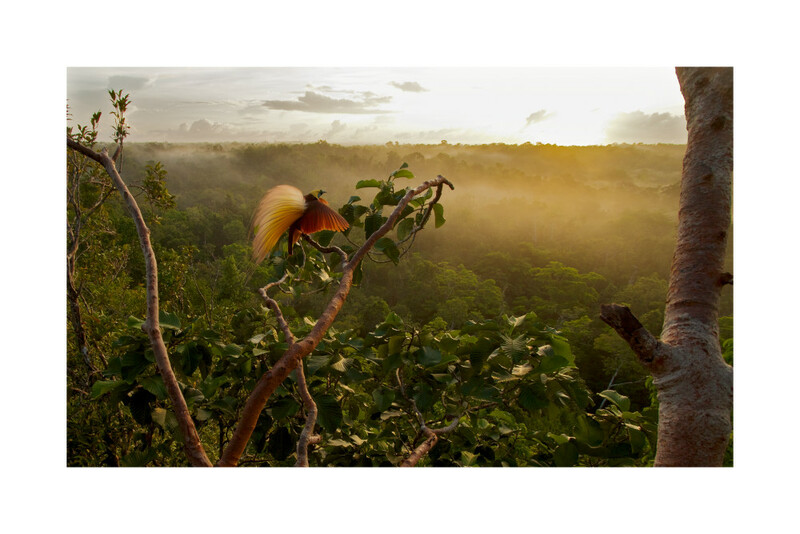 A male Greater Bird-of-Paradise displays his golden plumes as the first rays of sunrise illuminate him and the mist-covered rain forest below. Aru Islands, Indonesia.